Why Should I File For Bankruptcy When I Can Settle My Credit Card Debt? My St. Louis bankruptcy clients often question whether it is better to file for St. Louis Chapter 7 or simply negotiate a settlement of their credit card debt. In this economy, it is not unusual to see credit card companies offer settlements on the debts you owe them. The idea behind this kind of offer is pretty straightforward: You owe a large sum of money to the creditor; they recognize that you are having difficulty paying the monthly amount and have fallen behind as a result; they figure that if they offer a lower amount in lieu of the current balance, you will jump at the deal. Sounds good, right? Well, let’s take a closer look at the proposition. For example, assume you have a credit card balance of $10,000.00, and your monthly minimum payments are $445. You are having trouble making ends meet, so you stop paying on it. They credit card company calls you every single day, multiple times per day, for the next several months in an attempt to collect, but you are simply unable to make a payment to them while putting food on the table for your family. Finally, the creditor calls you one day and says that they want to propose a settlement. Instead of you paying $10,000.00, they will accept $5,000.00 and write off the other half. Your ears perk up, you sit up straight in your chair, and you tell them that you probably would be interested in something like that. But the next thing you learn brings you back to Earth. They explain that since they are offering this one time settlement, they can no longer accept monthly payments. Oh and if you want to accept their offer, they need the entire lump sum of $5,000 by Friday afternoon. Once that dream is shattered, you sit back in your chair and rub your forehead and wonder, “If I can’t make a $445.00 monthly payment, how in the world am I supposed to give these guys $5,000.00 by the end of the week? !” You explain this dilemma to them, but the only thing you get in response is a glowing description of how nice they are for making the offer in the first place. Most people do not have an extra $5,000.00 lying around the house. If you did, wouldn’t you have been making the minimum payment all along? This is the kind of ‘settlement’ that they offer. 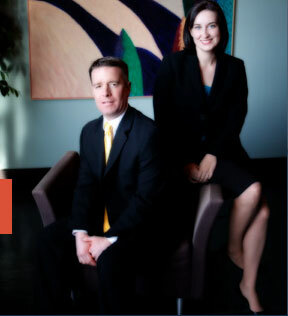 The St. Louis bankruptcy attorneys at Brinkman & Alter, LLC can offer you much better options than your creditors. Dependent upon your situation, a St. Louis Chapter 7 or a St. Louis Chapter 13 might work best. Such chapters of bankruptcy can eliminate your debts entirely, or at the very least, put you in a sensible payment plan. Our staff is eager to assist you and help you achieve a better financial future. As always, all phone and office consultations are free of charge.